Everyone knows what happened there. Now look at this sticker which was on the door to the recruiting station. 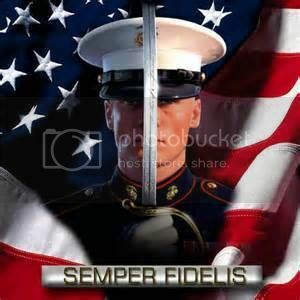 God's rest and thank you for your service, my brothers. Gun free military bases and recruitment centers date back to Clinton. Bush II continued the policy even after 9-11! "A Clinton Administration revision to Department of Defense Directive 5210.56 — Army Regulation 190-14, dated 12 March 1993 — permits the Secretary of the Army to authorize military personnel to carry firearms “on a case by case basis” for personal protection within the continental United States, but forbids military personnel to carry their own personal firearms and both requires “a credible and specific threat” before firearms be issued for military personnel to protect themselves. 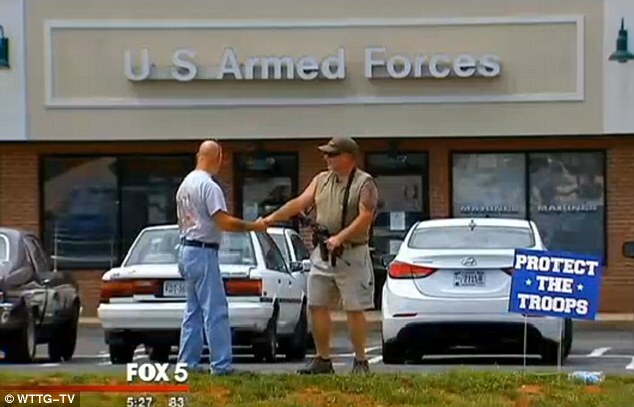 It further directs that firearms “not be issued indiscriminately for that purpose.”"
A man is standing guard at military recruitment centers in Virginia armed with a rifle. 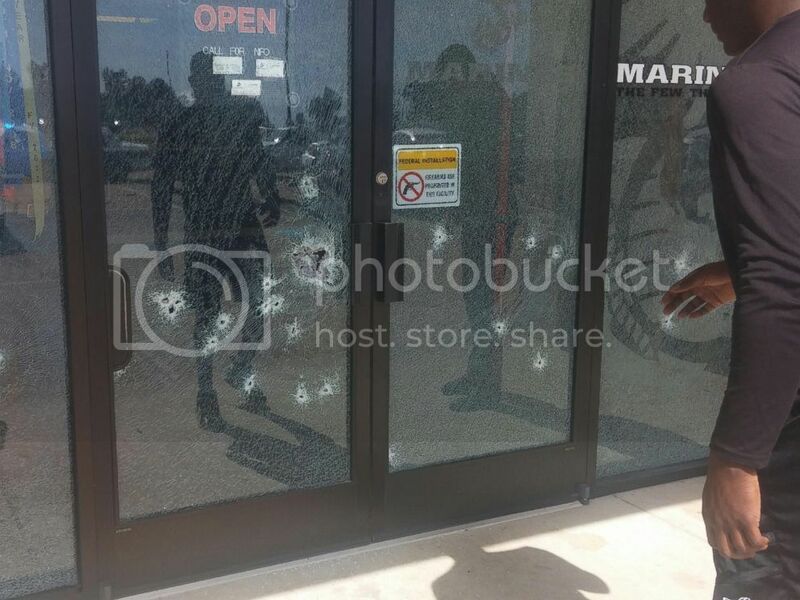 It is a symbolic protest against the ban on weapons in such buildings after the Chattanooga shooting on Thursday, when a gunman killed four Marines and a sailor, and wounded another Marine. America has been teaching its children a falsehood for quite a while now, that there's no such thing as a good guy with a gun. Let's help this falsehood be vanquished!! !